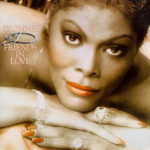 Friends in Love, Dionne Warwick’s third studio album for the Arista label, was released in 1982. It was recorded during the winter of 1981-82 and was released that spring. The LP was originally issued as number AL 9585 in the Arista Catalog. The disc stalled at a disappointing #87 on the Billboard album chart, selling approximately 200,000 US copies. Songs on the album include the title track, a duet with singer Johnny Mathis, which made the Top 40 on the Billboard Hot 100 chart at #38, in addition to charting on the Billboard R&B and adult contemporary charts at #22 and #5, respectively. A follow-up single, “For You”, peaked at #14 on the adult contemporary chart. This album also contains the Cynthia Weil / Barry Mann song “Never Gonna Let You Go”, which would become a hit the following year for Brazilian musician Sérgio Mendes.